for $895,000 with 5 bedrooms and 4 full baths, 1 three quarter bath. This 4,800 square foot home was built in 2008 on a lot size of 0.43 Acre(s). Exquisite waterfront villa. Elegant contemporary design with superior construction throughout makes this home an incomparable template for lake community living. 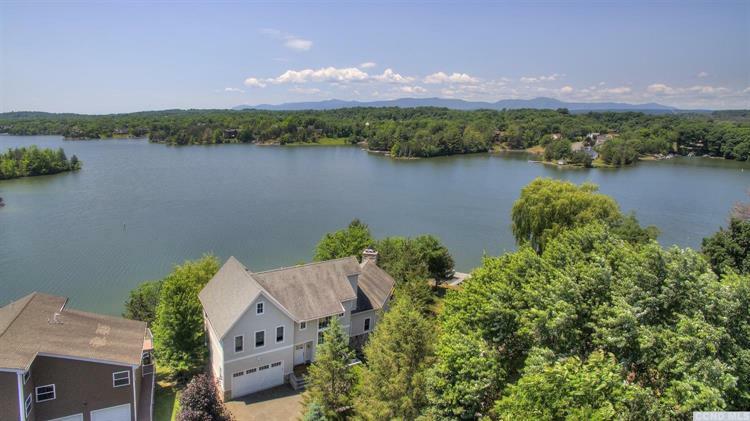 Dazzzling direct water views, soaring ceilings, oversized rooms plus windows galore ensure gracious living. Sun-splashed interior offers a main floor anchored by a chef's kitchen and stunning great room with a fireplace replete with a stone bench. Two balconies overlook the lake, one with an outdoor fireplace for memorable evenings at water's edge. The lower level features another living room, separate room, currently utilized as a sixth bedroom, plus a bath. An exercise room with a sauna and additional storage plus French doors to the lower deck completes this level. The top floor offers five bedrooms and three baths. 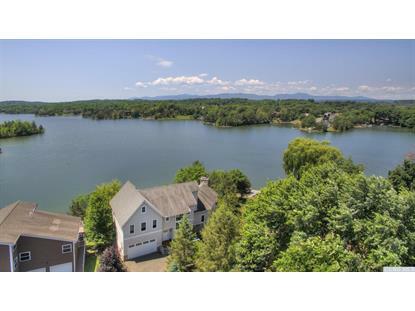 Three bedrooms enjoy stunning views of the lake. Red oak floors, Anderson windows, custom tiling and steel I beams construction assures lasting quality. 2.5 hours from NYC, 20 minutes to Hudson. Security.